The RUD 45″ Shoot Through Umbrella is not only great as a “shoot-through” umbrella, but it can also be used as an inexpensive bounce light. 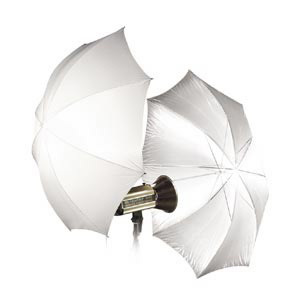 Photoflex RUD 45″ White Shoot-Through Umbrella. The Photoflex RUD 45″ White Shoot-Through Umbrella is not only great as a “shoot-through” umbrella, but it can also be used as an inexpensive bounce light. Also available in 30″ size. It is a Parabolic-shaped reflector – which provides large circular light source to render circular catchlight in eyes. 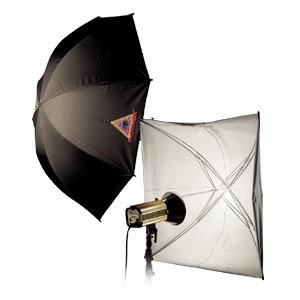 The RUD Umbrella is designed as a shoot-through umbrella, but can also be used as an inexpensive bounce light. 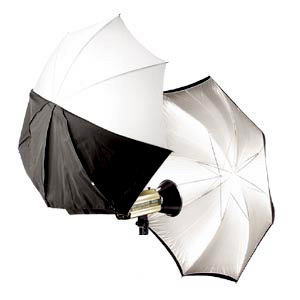 The ADW 45" White Adjustable Umbrella has a black exterior with a white polyurethane-coated interior.